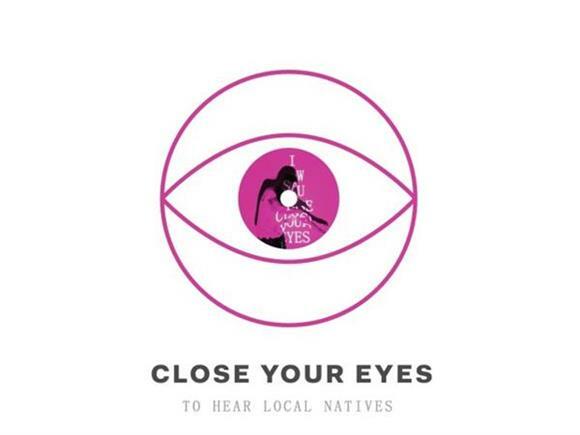 LA-based rockers Local Natives just dropped a brand new single "I Saw You Close Your Eyes," though instead of the usual blast to streaming services and the like, there's only one very specific way to listen to it. First, go to CloseYourEyes.net, then turn off the lights in whatever room you're in, position your head about a foot from your computer camera, and close your eyes. Follow these steps correctly, and then and only then will the band's new single play for your enjoyment. Don't try to peek or impulsively break out your phone and check Snapchat while listening, either; the song will immediately stop if the camera catches you with your eyes open. It might be in Local Natives fans' best interest to attempt this test of focus and self-restraint, because the song is actually pretty good. "I Saw You Close Your Eyes" has the typical chill and anthemic qualities that make Local Natives such an easy band to like and immediately get into, and if anything, it's a perfect song to just sit back, close your eyes, and vibe out to for a few minutes. Yes, in our age of constant sensory stimulation, it might feel challenging to do nothing else but be still with your eyes closed, but it's worth trying out. A quick and painless exercise in self-discipline can be a good thing, and making that a requirement to listen to the song is honestly kind of clever on the band's part. If nothing else, it at least ensures all your focus is on the song and not on the 50 tabs and windows you have open on your laptop. Check out the website for "I Saw You Close Your Eyes" here, and if sitting still just isn't your speed, you can also listen to the band's new cover of Fleetwood Mac's "Tusk" on Spotify with your eyes open. UPDATE: It is now available via YouTube (below).